For one, home improvement supplies, skilled craftsman and permits are generally in ample supply this time of year. So why not take advantage of the short lead times and potential savings, right? Also, completing projects now makes it easier to start entertaining in the early spring. Think about it. Outdoor kitchens and family rooms spruced up now will certainly be ready for use come Memorial Day. As we already said, many home improvement supplies on the market today can withstand cold temperatures. These include industrial-strength glues, caulking and paint. However, that doesnt mean they should be left sitting outside in a snow pile. Theyll need to be kept in a dry area and covered with insulated tarps. Otherwise, the materials could potentially lose their strength, separate, develop ice crystals or pesky mold. Theyll help builders and members of the do-it-yourself crowd find the ideal assortment of tarpaulins for their winter projects. Addition advice about contractor and DIY approved products for winter use may be found by contacting us today. This entry was posted in insulated tarps and tagged insulated tarps on December 29, 2016 by Canopies Tarps. With all of the crazy weather that has been taking place across the country, it can be a bit difficult keeping ones garden in tip-top shape. This is especially the case as summer turns to fall and fall fades into winter. Thankfully, there are actions that gardeners may take to protect their late fall crops from being overtaken by frost. 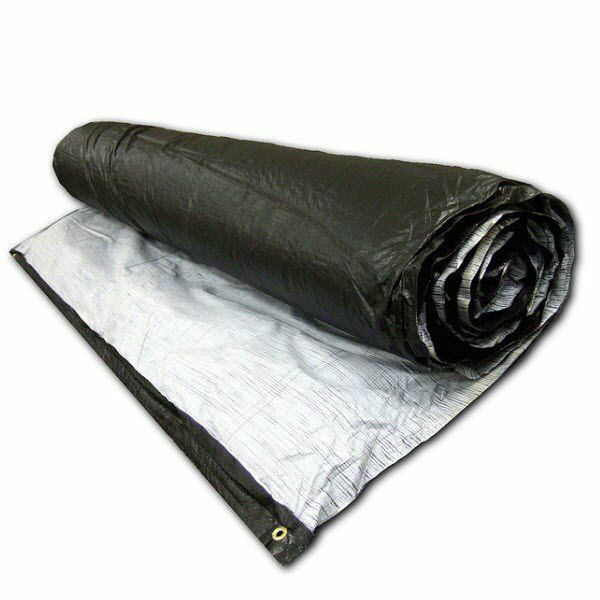 For instance, investing in insulated vinyl tarps is one action that may serve gardeners well. In our experience, their insulating features are enough to keep garden beds warm until the morning. The ones that we have in stock weigh 10 ounces per square yard and boast a -inch thick, foam insulation center. That type of thickness is perfect for light and hard frost situations but thats not all. 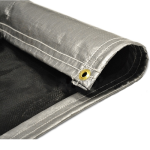 The insulated vinyl tarps come in small sizes, like 3-feet by 12-feet, which are great for most modest size flower boxes, potted plants and beds. Weve also got heavy-duty, insulated tarps that are 3-feet by 25-feet, 6-feet by 25-feet, 12-feet by 20-feet and 12-feet by 25-feet. Many gardeners like to use them for large beds, rows of hedges, awkward shaped planters, water gardens and rock gardens. In addition to covering the plants, our insulated vinyl tarps may also be used to cover cold boxes, portable greenhouse roofs, potting benches and assorted gardening equipment. To learn more about them and place an order before the frost arrives, please contact us., please contact us. This entry was posted in insulated tarps and tagged insul tarps, insulated tarps on September 4, 2014 by CanopiesAnd Tarps.